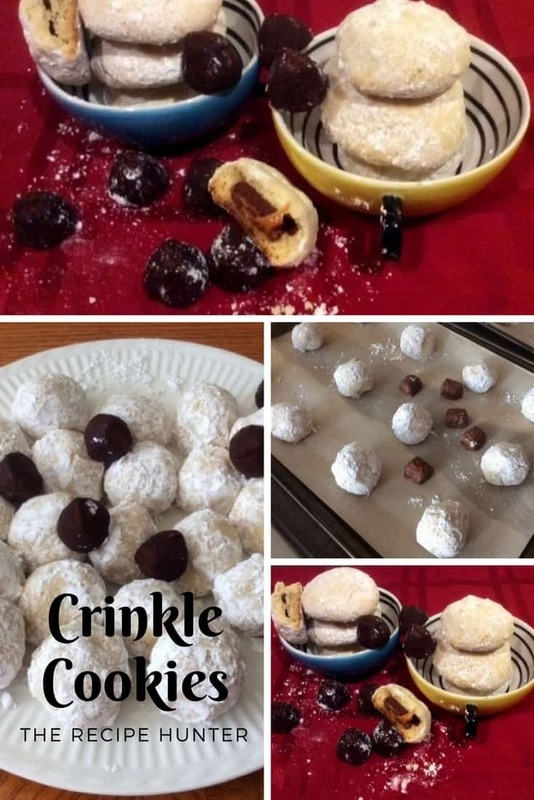 Crinkle cookies, crispy on the outside, with a ‘sweet’ surprise, concealed in the inside, and then to add to the decadent flavor, covered in powdered sugar. 1 cup powdered sugar + Additional powdered sugar for dusting (optional, but I prefer to use it, just a nice extra touch of sweetness as a special treat). Mix GF flour, baking powder, baking soda, and salt. Beat the sugar, softened butter and vanilla with an electric mixer until fluffy. Beat in eggs, one at a time, till smooth. Beat flour mixture into sugar mixture until well blended. If necessary, use a spatula to do the last bit of mixing to ensure all the flour is blended in well and you have a smooth ball of dough. Cover and let dough rest at room temperature 15-20 minutes. Shape dough into balls (I managed to get 48 cookies out of this batch), and hide a Chocolate Truffle or bite-size Twix in the middle, as an extra little surprise. Use enough dough to cover each Truffle or Twix. What a fun way to surprise your guests when they bite into this moreish cookie. Place 1 cup powdered sugar in a bowl and roll each raw cookie in sugar. Pack out on a parchment lined cookie sheet and bake in preheated oven for ±18 minutes, or until the edges turned light brown. Let them cool slightly before moving it to a cooling rack and sprinkle/dust again with additional sugar. Now let it cool completely before you store them in an airtight container. These look wonderful – and I’m thrilled to see that they are gluten free. I can’t have the Twix, but I love the idea of hiding a GF truffle. Thanks for sharing. I wanted to only use truffles but ran out so found some left over twix and used that for the rest. I just ❤️ the hidden truffles, although I made it have tp saw it turned out so yummy. Please try them out. For the most part (tho’ it took a while), I no longer miss cookies and cakes – rarely think about them, actually. But the holidays are TOUGH since they are linked to so many sweet treats: baking and eating so many easy-to-make goodies from pumpkin pie to Christmas cookies. The GF treats are a bit more of a hassle – always requiring “unusual” ingredients and more steps. ::sigh:: It’s more work & a considerable commitment to eat GF – so I’m always slightly annoyed when folks dismiss it as a fad diet. I totally agree with you Madelyn. People do NOT GET the GF part and unfortunately many think its a fad diet as you say. It does take a lot of commitment to stick to what is best for your health especially over the Christmas season. Good luck. I feel so yucky when I accidentally consume anything that’s not GF. Yes, I understand. I, on the other hand, get a strange and very unpleasant feeling that I am unable to swallow and a swollen and if I have a constriction of sorts in my throat and then a huge tummy ache thereafter, so I stay away from anything, not GF. WOW – that would be reinforcing. 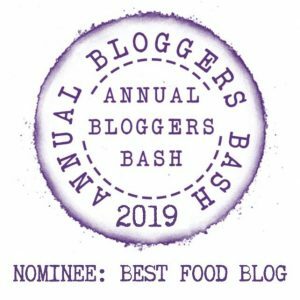 I do it because I’ve done the research and *decided* not to partake, even though I hadn’t linked any troubles to gluten prior to giving it up. Benefits came afterwards. Any benefits will be gratefully accepted. What a lovely way to surprise guests. Thank you. 1 to 1 = Regular flour to GF flour conversion.